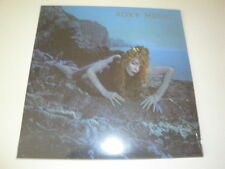 ROXY MUSIC : Flesh Blood- LP INNERSLEEVE with lyrics - French pressing 1980. ref : E.G. POLYDOR 2302 099 SACEM. ROXY MUSIC. Disque : EX. Pochette : VG . Roxy MUSIC. GREATEST HITS. Pochette : VG . Roxy Music : manifeste. Interpret Roxy Music, Bryan Ferry. vinyle 180 g. Geschwindigkeit 33 U/min. Veröffentlichungsjahr 2017. Format Album. Cry, Cry, Cry. danser loin. L’album est l’un des plus acclamé album de Roxy Music. Roxy Music : sirène. Interpret Roxy Music, Bryan Ferry. vinyle 180 g. Geschwindigkeit 33 U/min. Veröffentlichungsjahr 2017. Format Album. 9e une autre haute. État : Occasion. bonnes enchères. Release Date (Date de sortie): 04 Nov 2016 (04 novembre 2016). LP 33T:Avalon. Format: LP 33T. ROXY MUSIC. LP 33T:Flesh Blood. Format: LP 33T. ROXY MUSIC. Label:EG Records 2302099. Pressage:France 1980. " Salinasvalley Records". (wait for invoice). France suivi: 6,50e 1Lp, 1,50e pour Lp additionnel. 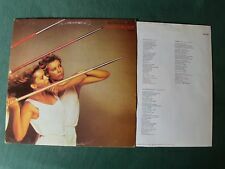 VG /VG POCHETTE ET DISQUE EN TRES BON ETAT - INNERSLEEVE - POLYDOR 2302099 - 1980 GERMANY. YOUR ORDER, OVER 0.5KG, MAY BE SENT BY MONDIAL RELAY. PORTUGAL (EXCEPT AZORES AND MADEIRA), ITALY. BELGIUM, LUXEMBOURG, SPAIN (EXCEPT BALEARIC ISLANDS AND CANARIAS). (Avalon ()060253784881). Roxy Music. A3 Avalon 04:15. Artist Roxy Music. Duration LP. Chair & sang (ROXYLP7). INFORMATIONS POUR LE TRANSPORT. B5 TARA 01:32. Roxy Music : chair et de sang. Interpret Roxy Music, Bryan Ferry. vinyle 180 g. Geschwindigkeit 33 U/min. in The Midnight Hour. Veröffentlichungsjahr 2017. Format Album. course sauvage. Roxy Music - Siren. Support: LP x 1. CategoriesVinyl CD DVD Blu-Ray MC/Cassette. Artículo dañado o defectuososerá reemplazado sin costo alguno para usted. Los gastos de envío para la restitución a su cargo. ARTISTE : ROXY MUSIC. Artist Roxy Music. Format : Vinyle LP. Duration LP. A2 Trois et neuf. Condition : Rubrique neuf et scellé en parfait état. A1 THE THRILL OF IT ALL. INFORMATIONS POUR LE TRANSPORT. Roxy Music : vie à la campagne. Interpret Roxy Music, Bryan Ferry, Phil Manzanera. vinyle 180 g. Geschwindigkeit 33 U/min. THE THRILL OF IT ALL. Veröffentlichungsjahr 2017. EAN 602537848775. Prairie Rose. Roxy Music - Manifesto. Support: LP x 1. CategoriesVinyl CD DVD Blu-Ray MC/Cassette. Artículo dañado o defectuososerá reemplazado sin costo alguno para usted. Los gastos de envío para la restitución a su cargo. 3 Avalon 00:04:17. Hier folgende Vinyl LP / Here following Vinyl LP 10 Tara 00:01:43. 8 To Turn You On 00:04:16. 6 The Main Thing 00:03:54. 5 While My Heart Is Still Beating 00:03:26. Flesh blood. ROXY MUSIC. Année : 1980. Disques E.G. records 2302 099. N'oubliez pas de m'ajouter à votre liste de favoris. EX/VG POCHETTE EN EXCELLENT ETAT - ENCORE SOUS CELLO OUVERT - DISQUE EN TRES BON ETAT PROCHE DE EXCELLENT - INNERSLEEVE - EG 2311154 - 1982 GERMANY. YOUR ORDER, OVER 0.5KG, MAY BE SENT BY MONDIAL RELAY. Titre : manifesto. ARTISTE : ROXY MUSIC. Artist Roxy Music. Format : Vinyle LP. Duration LP. Condition : Rubrique neuf et scellé en parfait état. A1 Manifeste. INFORMATIONS POUR LE TRANSPORT. Release Date (Date de sortie): 21 Jul 2017 (21 juillet 2017). To Turn You On. The Main Thing. DISC (DISQUE) 2 While My Heart Is Still Beating. YOUR ORDER, OVER 0.5KG, MAY BE SENT BY MONDIAL RELAY. PORTUGAL (EXCEPT AZORES AND MADEIRA), ITALY. BELGIUM, LUXEMBOURG, SPAIN (EXCEPT BALEARIC ISLANDS AND CANARIAS). VG /VG POCHETTE ET DISQUE EN TRES BON ETAT - POLYDOR 2344129 - 1979 GERMANY. YOUR ORDER, OVER 0.5KG, MAY BE SENT BY MONDIAL RELAY. PORTUGAL (EXCEPT AZORES AND MADEIRA), ITALY. BELGIUM, LUXEMBOURG, SPAIN (EXCEPT BALEARIC ISLANDS AND CANARIAS). ARTISTE : ROXY MUSIC. Artist Roxy Music. Format : Vinyle LP. Duration LP. Condition : Rubrique neuf et scellé en parfait état. A1 Love Is The Drug 04:05. INFORMATIONS POUR LE TRANSPORT. B5 Juste une autre haute 06:28. Pressage original français de 1980 en excellent état. Envoi rapide, soigné et protégé. ARTISTE : ROXY MUSIC. Artist Roxy Music. Format : Vinyle LP. Duration LP. b1 sur vous 03:28. Dans le monde entier - £ 9.99 (suivi). INFORMATIONS POUR LE TRANSPORT. Condition : Rubrique neuf et scellé en parfait état. Flesh and Blood. Release Date (Date de sortie): 04 Nov 2016 (04 novembre 2016). Eight Miles High. My Only Love. of Discs (Nombre de disques): 1. Label: Polydor 2335269. Format: LP 33T. Roxy Music. Pressage & Année:France 1983. Recorded Live at the Apollo Theatre Glasgow. Format :Vinyl, LP, Album, Reissue, Half Speed Master. Virgin Records Ltd., Universal Music Catalogue. otherwise it's a second hand item. Electronic, Rock. Roxy Music Avalon album 1982. This is the 1st press from France in very good condition. Complete with inner sleeve. Vinyl is Very Good -. Il s'agit du LP ORIGINAL " AVALON " en pressage " FRENCH " sorti sur " POLYDOR RECORDS " en 1982, sous la référence " 2311 154 " en vinyle noir comprenant 10 titres, disque en état Vg , pochette en état Vg, en très bon état . Roxy Music - Thrill of It All. Roxy Music - Three and Nine. Roxy Music - All I Want Is You. Roxy Music - Out of the Blue. Roxy Music - If It Takes All Night. Roxy Music - Triptych. Roxy Music - Casanova. 8 For Your Pleasure 00:06:51. Hier folgende Vinyl LP / Here following Vinyl LP 7 Grey Lagoons 00:04:13. 6 The Bogus Man 00:09:20. 4 Editions Of You 00:03:51. Roxy Music - Trash. Roxy Music - Angel Eyes. Roxy Music - Still Falls the Rain. Roxy Music - Stronger Through the Years. Roxy Music - Ain't That So. Roxy Music - My Little Girl. Roxy Music - Dance Away. Roxy Music - Flesh and Blood. Roxy Music - In the Midnight Hour. Roxy Music - Oh Yeah. Roxy Music - My Only Love. Roxy Music - Over You. Roxy Music - Eight Miles High. Roxy Music - Rain, Rain, Rain. Roxy Music - No Strange Delight. Titre: For Your Pleasure (1LP G/F). Arstiste: Roxy Music. Format: VINYL. Condition: Neuf. (Avalon ()0602537848812). A3 Avalon 04:15. Roxy Music. Artist Roxy Music. LP DE VINYLE POIDS LOURDS. Duration LP. A1 More Than This 04:31. INFORMATIONS POUR LE TRANSPORT. ROXY MUSIC Manifesto. A1 Manifesto. Publié par Virgin. Artist ROXY MUSIC. Edition Half Speed Mastered. Speed 33 RPM. Duration LP. Release Year 2017.